The hypersensitivity response varies to a great extent from one person to another. Most commonly involved teeth are canines and premolars. Generally, the facial surfaces of teeth near the cervical aspect are involved. 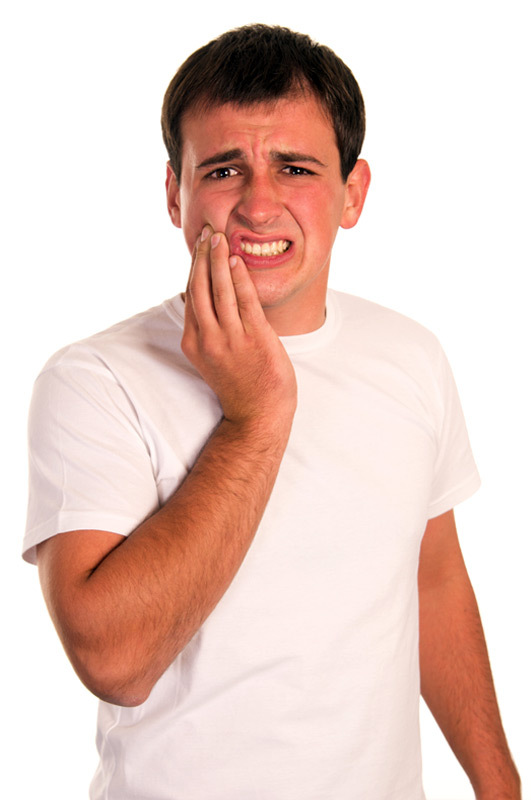 Patients undergoing periodontal treatment are also particularly susceptible to this condition because of the recession following periodontal surgery or loss of cementum following non-surgical periodontal therapy. The most widely accepted theory of how the pain occurs is hydrodynamic theory i.e. because of fluid movement within the dentinal tubules. The dental professional, using a variety of diagnostic techniques, discerns DH from other conditions that may cause sensitive teeth. Applying topical desensitizing agents professionally if required. There are various options for treatment of hypersensitivity. The most inexpensive and efficacious first line of treatment for most patients is a dentifrice containing a desensitizing active ingredient such as potassium nitrate and /or stannous fluoride. RA- Thermoseal is a desensitizing toothpaste containing potassium nitrate as chief ingredient and is effective against dentinal hypersensitivity. RA – Thermoseal, which contains potassium nitrate is a commonly available medicated toothpaste readily available in most of the chemists and is an effective tool to manage dentinal hypersensitivity. Dentinal hypersensitivity is a problem that plagues many patients and choice of medicated toothpaste often confuses dentists. Based on current scientific evidence, potassium nitrate and strontium chloride are the most effective ingredients available in toothpaste. RA- Thermoseal, a potassium nitrate containing toothpaste is an effective dentifrice to treat dentinal hypersensitivity. Dowell P, Addy M (1983) Dentine hypersensitivity–a review. Aetiology, symptoms and theories of pain production. J ClinPeriodontol 10, 341-350. Tarbet WJ, Buckner A, Stark MM, et al. The pulpal effects of brushing with a 5 percent potassium nitrate paste used for desensitization. OralSurg1981;600-602. Knight NN, Tryggve L,ClarkSM, et al. Hypersensitive Dentin: Testing of procedures for mechanical and chemical obliteration of dentinal tubuli. J Periodontol 1993;64:366-373. PoulsenS, Errboe M, HovgaardO, et al. Potassium nitrate toothpaste for dentine hypersensitivity (Review). The CochraneCollaboration 2004, Issue 4, Wiley Publisher. 1-11. Nagata T, Ishida H, Shinohara H, et al. Clinical evaluation of a potassium nitrate dentifrice for the treatment of dentinal hypersensitivity. JClinPeridontol 1994;21 (3):217-21. Schiff T, Dotson M, CohenS, et al. Efficacy of a dentifrice containing potassium nitrate, soluble pyrophosphate, PVM/MA copolymer, and sodium fluoride on dentinal hypersensitivity: a twelve-week clinical study. JClin Dent 1994;5Spec No: 87-92.